Several versons of the graphic above are available for transfer to your own site or downloading for other uses. A growing number of scientists, doctors, academics, journalists, and other professionals are questioning the HIV/AIDS hypothesis. As of 7 May 2007, 2,454 had signed the statement hyperlinked above. Add your name by following the link. "Science Sold Out: Does HIV Really Cause AIDS?" by Rebecca Culshaw has almost sold out its second printing of 22 March, and is making the BOD of AIDS, Inc. more nervous than even this demonstrates. As well it should. Peter Duesberg's Powerpoint Presentation at the Lew Rockwell 2006 Annual Conference. Peter Duesberg on The Chromosomal Origins of Cancer, Asilomar 2007 [with a 4 MB Powerpoint]. New as of 5 May. Peter Duesberg on "Chromosomal Chaos and Cancer" in Scientific American. Interview with Peter Duesberg by David J. Brown in Smart Publications "Mavericks of Medicine" [Feb. 21 and very spiffy]. Very popular video: HIV=AIDS - Fact or Fraud? SEARCH FOR SOLUTIONS – The Great AIDS Debate. Interview with President Thabo Mbeki first broadcast in April 2000 on "Carte Blanche" M-Net, South Africa. 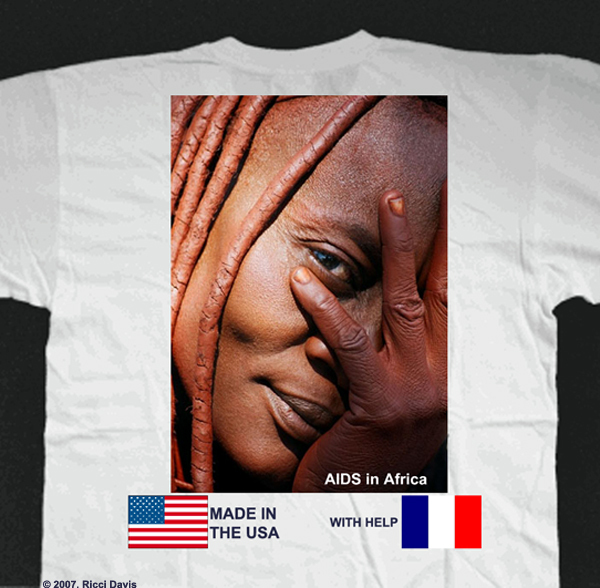 AIDS AND AFRICA. A one hour documentary filmed in Uganda, Tanzania, Cameroon, and Côte d'Ivoire - Dispatches, Channel 4, UK, 1993. The powerful and controversial documentary, "Guinea Pig Kids", can be viewed here. Contributions may be sent to the managing editor, here. Gossip and gospel have the same root. Good "gossip" is the truth. Christine Maggiore: The "Homophobe Defense" of AIDS, Inc.
"People who question the theory that HIV causes AIDS causes Death often challenge members of the AIDS establishment. They are routinely ignored or casually rebuffed despite the status of their scientific qualifications. This page preserves the discussions so that the unwillingness of the AIDS establishment to engage in debate can be seen by all." Charles Geshekter challenges Nicoli Nattrass"
Stephen Davis has some new audio at his podcast site. One is an interview with him a couple weeks ago on the Progressive Radio Network. But one of the realest deal, internet audios ever is with Christine Maggiore and Splash Media. It is a recorded interview in Ms. Maggiore's home with Marissa Charles of Splash Media in the UK, which will be publishing the print article next month. Mr. Davis writes us: "This interview tells Christine’s life story – both before and after her diagnosis as HIV-Positive, in a way that I’ve never heard, and addresses all the errors that appeared in the recent Elle magazine article about the death of her daughter, Elisa Jane. It’s a long interview (4 parts), but if you never listen to any other podcast I’ve posted, or never read my book or anything else, you must listen to this interview in its entirety – even if you’ve known Christine for years. Besides, it will be interesting to see just how accurate the Splash Media article is when it's printed, compared to this interview." Comments are regarded as letters to the editor. They are subject to the same policies as the NY Times and Nature, and are not published until after editorial review. Rishav on Private investigator vindicates Duesberg, Farber "clean hands"
LS on October Snub Fest Continues! Nobblebobblehead on October Snub Fest Continues! Trouble Man on October Snub Fest Continues! Kendra on October Snub Fest Continues! Private investigator vindicates Duesberg, Farber "clean hands"
Animal Pharm -- Selling Prozac to Dogs! Interview with an Unconventional "AIDS Patient"
Celia Farber and Stephen Davis on NYC, WOR Radio!